Dr. Rankin is a graduate of the University of Toronto (Victoria College), the Canadian Memorial Chiropractic College and completed studies at the Toronto School of Traditional Chinese Medicine. Dr. Rankin finished further graduate studies at the Canadian Memorial Chiropractic College, completing a Fellowship in Rehabilitation Sciences. This three year program focuses on the treatment and rehabilitation of injuries and prevention of health problems through exercise and other active, patient-driven techniques. Dr. Rankin is one of only one hundred chiropractors in Canada to have this unique specialization. Having worked at Bloor-Avenue Chiropractic as an associate from 2003 to 2007, Dr. Rankin is pleased to be able to return “home” to Bloor-Avenue Chiropractic in a more permanent way. 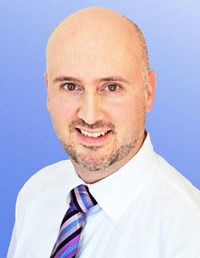 He is excited to continue and enhance the great care for which Bloor-Avenue Chiropractic is well known for. Dr. Rankin truly loves helping people to reach their health goals. If you have questions about Dr. Rankin’s modern, effective, and gentle approach to chiropractic, acupuncture or Chinese medicine, please contact him through the caring staff at Bloor-Avenue Chiropractic. If you would you like to schedule an appointment with Dr. Rankin, call our office at (416) 920-2468. Begin care today.